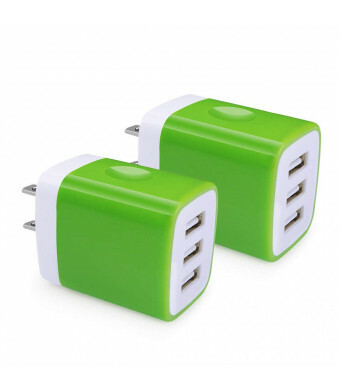 What You Get2 x Green 3 Port USB Wall Charger. Hootek 12-month hassle-free warranty with considerate customer service, 24 hours prompt reply. Smarter, faster and safer charging with Hootek 3-Port USB Travel Wall Charger! 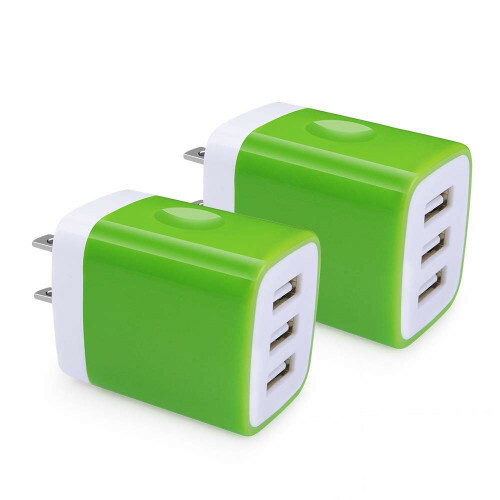 and power bank stimoulously meet your requirement of several machines conduct fast charging. else in a shared backpack, meet your requirement of staying at home, in office or outgoing useage ,and 100-240V input ideal for international travel. Multi-Protect safety system and premium grade circuitry ensures complete protection for you and your device. Nexus 5 6 7 9 10, Blackberry and More! Also Charges External Battery Pack, GPS, PSP, PS4 Controller, MP3 Players, and USB Powered Devices. Hootek 12-month hassle-free warranty with considerate customer service, 24 hours prompt reply.